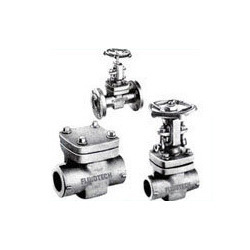 Our range of products include forged steel valves. We feel proud to introduce ourselves as the leading organization in this domain, engaged in presenting an excellent grade of Forged Steel Valves. The valves offered are manufactured as per latest British Standards as well as latest industry standards as specified by the customers. Being Forged Steel Valves, these are compact in designs and are made available with a wider choice of shell and trim materials. Some of the end applications these are made use in include in refineries, petrochemical complexes, fertilizer plants, thermal power stations as well as other process industries. Size Range : 1/2" to 2"